On this day, we honor those who fought and died for our freedom. Of course, we honor all of our veterans. Today, however, I want to focus on our part in the process. As a child, I was taught the value of citizenship. It was a privilege to vote and participate in the process. Where I grew up, the schools were used as polling places. My parents and I would walk there, and they'd each take a turn voting. A big deal? You bet it was. It's still a big deal. It horrifies me when I hear people say they won't vote for whatever reason. By not voting, people are making a choice whether they like it or not. They're giving one candidate an advantage over another. I also see what I call, "personality wars." Instead of addressing issues, people are looking at which candidate wows them with their rhetoric or destroys the other people in the race with their tongues. 1. I pray God will help me sort through the noise and get to the heart of what each candidate truly believes. 2. I educate myself on the records of those running for office. Do they respect the Constitution and our freedoms? Do they pledge to uphold the Constitution or do they seek to destroy or ignore it? 3. History teaches us many lessons. Winston Churchill kept a positive attitude during the dark days of World War II. 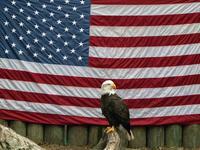 I've read about many who prayed and saw the tide turn in favor of freedom. Fear is one of our greatest enemies. It's time for believers to get on their knees and pray for our country like they never have before. God is greater than any circumstance. If we first turn our hearts back to Him and then seek His intervention in our nation, we'll see the situation turn around. The one thing that's not a viable option - doing nothing. Writers and readers: Freedom of speech, religion, etc. have a direct impact on our ability to write and express our views. Please keep the comments civil and share your thoughts. 1. Jessie Rita Hoffman guest posts at Writer Unboxed. Writing an action scene can make or break a novel. She gives some excellent instruction on how to make your scene effective. 2. Barbara Hartzler guest posted at Elaine Stock's blog a few weeks ago. The title grabbed me: Do You Suffer From Sequelphobia? Every writer who has a successful first book wonders whether or not they can do it again. 3. Christian Headlines presented an article on the targeting of Christian colleges for their gender views. When are we going to stand up to the bullies, who want to take our religious freedoms away? 4. Canadian blogger, Lynn Simpson, posts on the devastating fires in her region. She comes to the conclusion there are no words to express what's happening. Only pray. 5. Readers - Watch for the release of Jessica Nelson's novel, "A Hasty Betrothal," coming out in August 2016. I've read a couple of her books, and they're wonderful stories. Writers: What problems do you run into when writing action scenes? 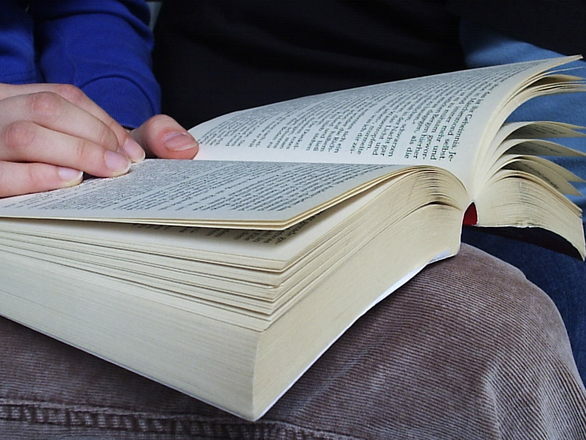 Readers: When reading a series, are you often disappointed by the second book? Please share. Elle Bostwick is a singing Superstar, who gets kidnapped in London. But...whodunit? Was it the terrorist group, NINA, or the CIA? She ends up with a group assigned to protect her and answer those questions. Elle is shocked when one of the men, Nick, is the guy she loved as an eighteen-year-old girl long before she achieved fame. 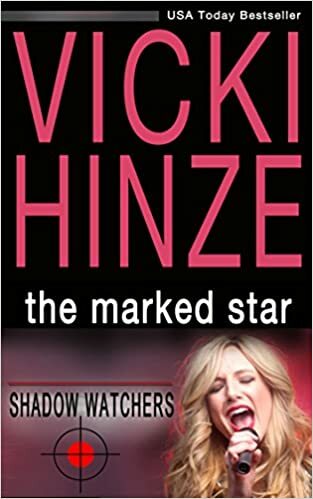 Vicki Hinze is the author of over 30 books, specializing in romantic suspense. For me, that's a winning combination. I enjoyed the characters and the plot. I'll be checking out her other books. I'm giving The Marked Star a rating of 5 Stars. Disclaimer: While I won this ebook in a giveaway, the opinions expressed here are mine and mine alone. I didn't receive any remuneration for this review. Writers: Have you tried incorporating romance with suspense/mystery/history? Please share. Readers: If you enjoy romance, do you like the added zing suspense, etc. gives to the storyline? Please share. The more I read both non-fiction and fiction, the more I wanted to write. Yet, my brief attempts and the lack of resources made it seem impossible. I still wrote here and there, but limited it to materials we needed for our Sunday School and tape ministry. 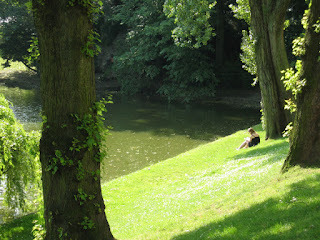 The two activities - reading and writing - were related but separate in my mind and heart. When my late husband and I were dating, I shared some of my work with him. He liked how I illustrated my points and urged me to pursue my dream. 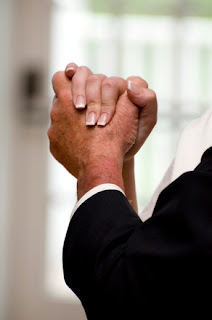 After we were married, I looked for connections in my new state to the Christian writing community. I finally discovered a writer's group that met in the next town. These wonderful folks critiqued my work, told me about writers conferences, and linked me with resources. A small regional conference caught my eye, but the thought of presenting my writing to the professionals terrified me. My husband encouraged me to attend. Okay - he almost shoved me out the door. There I met an editor of an online publication, who liked my sample. She assigned a devotional to me, and I sat there like the proverbial "deer in the headlights." We not only worked together for several years, but also became friends. 1. Reading in your genre will help you grow as a writer. 2. Fiction techniques used in non-fiction resulted in more acceptances. 3. The only way to mature as a writer was to actually sit down and write. Attending conference workshops, prowling writing blogs, and picking the brains of other writers, gave me a new perspective on reading. I gained an appreciation for the non-fiction and fiction I devoured. While the entertainment/learning aspect was still there, I discovered a new source of inspiration for my own work. Reading and writing - we were finally waltzing together. Writers: What impact did reading have on your writing dreams? Readers: While enjoying a wonderful book, have you ever thought about writing one yourself? Please share. 1. Are your characters flatter than the paper they appear on? Zoe M. McCarthy gives five easy techniques to bulk them up. 2. Sierra Godfrey Fong guest posts on Writers In The Storm and gives us the basics on Instagram. I knew next to nothing about this social media platform, so her article helped educate me. Will I join? Hmm, I'll have to think about it. 3. I had to share this! Scientists are now saying that life begins at conception. Check out this article at Live Action News. 4. 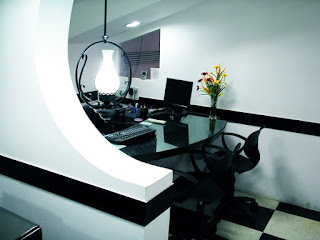 Jean Fischer, at Something to Write Home About, posted some wild office designs. You'll get a chuckle out of these. 5. For all you dessert lovers, I came across this recipe for Chocolate-Strawberry Truffles. Now, there's a winning combination and only 3 ingredients! Writers: Have you tried Instagram? Please share your experience with me. I'm weighing whether or not to add it to my social media toolbox. Readers: Do you cut out recipes and actually make them? Please share. I confess - most of the ones I stash in a binder never make it to my table. Sera James,an art gallery owner, remembers a painting she saw as a child and vows to find it. Her search causes her path to cross with William Hanover, a wealthy businessman. Adele Von Bron is the Sweetheart of Vienna because of her musical prowess. While performing for the Nazi elite, including her father, she meets Vladimir Nicolai, a talented cellist. Will she marry for love or bow to her father's wishes for a match with a Nazi officer? The author grabbed me from the first page with a story so captivating it still echoes in my mind. 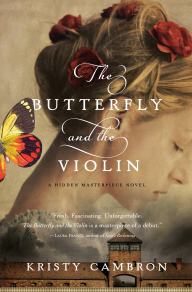 There are numerous World War II novels on the market, but The Butterfly and The Violin approaches it in a unique way. The story of two women - one past and one present - intertwine and create a mystery of epic proportions. Well thought out characters, a substantial plot, and heartache beyond imagination brought that awful time into sharp focus. The inhumanity of people apart from Judeo/Christian values reminded me of how easily mankind can justify the most horrific deeds. I'll be looking for more of Kristy Cambron's books. This was 5-Star all the way. Disclaimer: Neither the publisher nor the author paid me for this review. All opinions, as always, are mine alone. Writers: Have little-known historical facts ever spurred you to write an article or novel? Please share. Readers: Do books that take this type of material and wrap it up in a story appeal to you? Please share. I've always loved the lilting notes and breathtaking images of the waltz. Reading and writing seemed more like a stiff minuet. I admired both, but they maintained a polite distance. As a child, letters, words, and sentences were a jumble to me. Once they settled into place, I was off and running as a reader. My early experiences with fiction centered around the adventures of other children from fantasy to real-life situations. Surprisingly, I didn't enjoy mysteries or the suspense that now rank as favorite genres. This aversion also extended to TV programs. It took a long time before I realized most of the stories had a happily-ever-after ending. After that, I was able to roll with the scarier moments and try to figure out how the hero or heroine would defeat the bad guys. Christian Fiction books for kids and adults were almost non-existent. My grandmother was a reader and had some non-fiction books on her shelves. Besides touring her extensive garden, going through her books entertained me while the adults discussed their boring stuff. When my mother started ordering Sunday School materials, catalogs appeared in our mailbox. We examined each one when they arrived with all the excitement of a new Sears offering. There I discovered some Christian Fiction for kids. I was hooked, but the limited selection frustrated this voracious reader. Before I ever heard the term, "If you can't find what you want to read, write it," I decided to write my own book. While reading was easy, writing rated right up there with math. The manuscript got shoved in a box and eventually tossed in the trash. During a dark period of my life, I turned to non-fiction for answers. Fiction seemed irrelevant, and I rarely bothered with it. Writing poetry became a way to relieve the pressure of my circumstances. A few people commented on it and urged me to seek publication. Multiple rejections sent my poetry the way of those childish novels, but the seed was planted. Reading and writing danced a minuet for most of my life. They were related, but I didn't understand the connection. Would they ever come together and waltz? Writers: How did reading influence your writing? Readers: Did reading ever give you ideas about writing? Please share. 1. Chuck Sambuchino guest posts at Writers in the Storm. We all learn from other authors, but there are some comparisons that should be avoided. He gives Five Comparisons Not to Make For Your Book. 2. 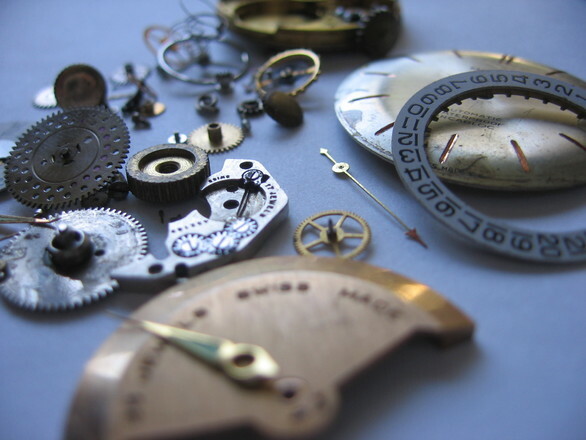 Zoe M. McCarthy gives 10 Fixes to Edit Unclear and Wordy Sentences. 3. Christianheadlines.com reports on how Christian support groups and churches are influential in helping people overcome addictions. 4. Are you drawn to photography? Carol J. Garvin posts many of her pictures. 5. Vicki Hinze guest posts on Elaine Stock's blog. She talks about those times when you don't win and why they have significance. Writers: How do you find comparable books for your book proposals? Do you read in your genre? Readers: Vicki's article about not winning can impact us whether or not we're writers. Have you ever had a situation where someone else needed to win? Is This Opportunity Right For Me? Recently, I saw a headline, "Trillions of Frequent Flyer Miles Unredeemed." I asked myself the question, "Why?" 1. People sometimes get miles but don't travel often enough to earn rewards. 2. Like me, I join Reward Programs and then forget about them. 3. I've heard others complain about restrictions on travel dates. As writers, why wouldn't we jump at an opportunity for publication or to enter a contest? 1. Perhaps the publisher isn't a good fit. Their business approach might not be compatible with our goals. Think Mary Poppins meets Godzilla. 2. Personal responsibilities with job/family/ministry might leave little or no time to devote to a writing career. It can be done if you're organized and focused, but some people aren't wired for the fast lane. 3. Maybe the contest requires an entry fee or has some stringent rules. 1. Prayer - If uneasy (not fearful, but not at peace), either reject it or put it on the back burner. 2. Consult family. Will they be supportive or resentful of this project? Is there a way to come to a mutually-beneficial agreement? 3. Research the company/contest. Talk to others who have first-hand knowledge and get recommendations. Look them up on the Internet, see what kind of books/materials they produce. Is the contest sponsored by a reputable organization? Who are the judges? Go over any contracts, and ask a family member/agent/lawyer for advice. Writers: When it comes to publishing, what are some deal breakers for you? Readers: Everyone signs contracts for something. 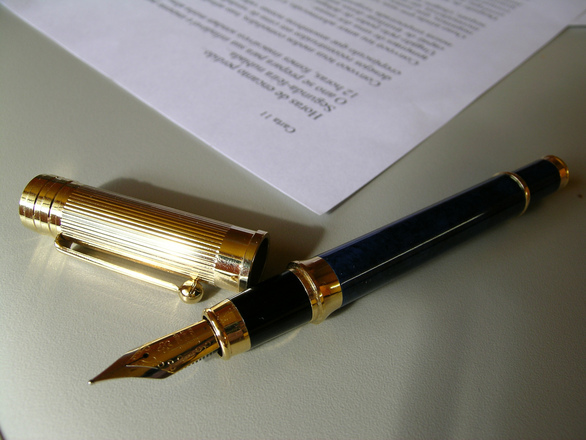 How do you decide whether or not to sign on the dotted line? Have a blessed week, and read the fine print! 1. 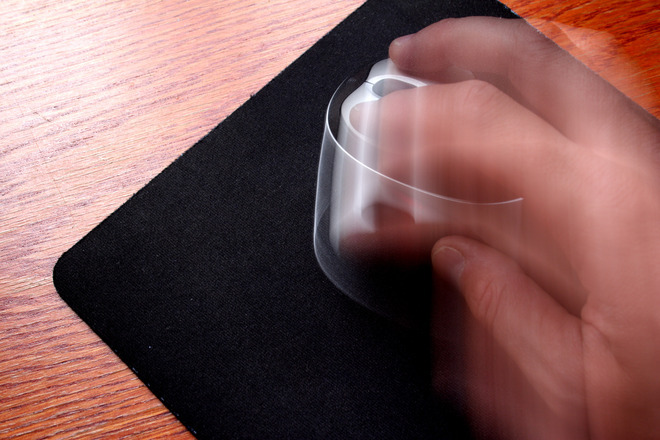 Penny Sansevieri gives 5 Quick Ways to Help Your Favorite Author. 2. Margie Lawson does a deep edit of Susan Donovan's prologue at Writers In The Storm. Wow! This emphasizes the importance of word choice. It's a great piece on writing craft. 3. I love hearing testimonies about how God moved in a person's life. Christianheadlines.com shares how a pastor and his wife prayed for a boy hit by a truck. 4. We all have "one of those days" from time to time. Dena Netherton talks about her own day and how it led to a pity party. I thought her suggestion at the end was great, and I pray the Lord will remind me to do this on a regular basis. Writers: What was your favorite part of Margie Lawson's deep edit of Susan Donovan's prologue? Why? Readers: Are you or someone you love an introvert? Which tip spoke to you the most? Brilliant writing! I don't usually start out a review this way, but this book had it all - characters so well crafted you felt you knew them. The situations were real life, gritty, and sent them on a search for something better. A few weeks ago, I wrote a post on the challenges Christian book reviewers face. In this book, the ugliness of sin and the beauty of living for Jesus were in perfect juxtaposition. In the midst of tragedy, one man's life has an impact long after he's gone. The way Christa Parrish shared the thoughts, motivations, and actions of each character inspired me, and made me want to read more books like this. It's largely character driven, but has enough tension/suspense to satisfy the reader. Can you tell I loved it? 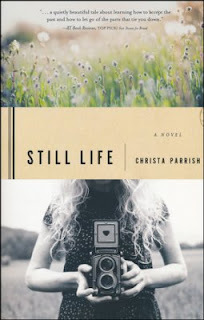 Five stars for Still Life by Christa Parrish. Writers: Have you ever read a book that made you want to take your writing to the next level? Please share. Readers: What books (other than the Bible) have you read that made you think and dig into some of the tougher life issues? Please share. While an accountability partner checks up on our progress and is a source of encouragement, critique partners and mentors take the process a step further. I've been privileged to have both at different times in my life and for various purposes. As a writer, I've shared my work with those who have more experience. Often, they'll see problems I've missed. 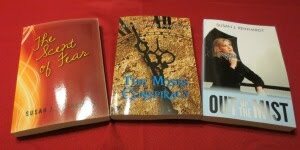 A couple of writers taught me a great deal about putting together a book proposal, while others edited my manuscripts. Recently, I hired a professional editor. Since this is a costly undertaking, I checked her website and obtained a partial edit before hiring her to do the full book. She was thorough, fair, encouraging, and we got along well. 1. A local writers group. Check your library, senior center, and writers who live near you. 2. If you write fiction, American Christian Fiction Writers has critique groups. You can check their website. 3. As you make friends blogging and on social media, observe how they interact with others and you. This is how I found my critique partners. 4. Writers conferences - many friendships have been forged at these events. By networking among writers, you'll find people who are a good fit. One caution: It's important to link with someone who will give you constructive criticism and not rip your heart out. 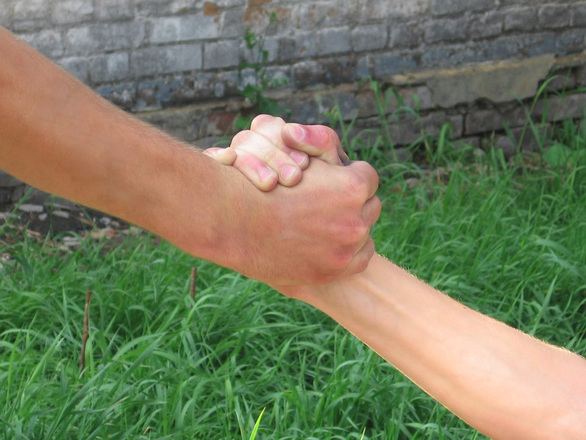 If you're thinking about someone in your critique group, see how they treat other members. Do they give suggestions that will help improve the work or do they give only negative feedback? Proverbs 11:14 - KJV "Where no counsel is, the people fall: but in the multitude of counselors there is safety." Writers: Do you have a critique partner or mentor? Please share. Readers: In your daily life, there are times when you need advice or tutoring. Do you have someone you can trust to give you wise, godly counsel? Please share.